As celebrity chauffeur of the pacecar at a 100mile dirt-track ChampCar meet, Parnelli Jones asked, "When you throw the green, do I have to get off the track?" In a dense and brilliant racing life — already some six decades long — Parnelli has yet to get off the track: not during his embryonic period when exercising behind a self-made, stamina building steering-wheel machine, never quitting until cranking the apparatus 800 times (mimicking the number of turns in the Indianapolis 500); not while winning an afternoon Midget car feature with one forearm plastered after an evening at a honky tonk saloon debating whether the fastest race drivers came from California or Arkansas; not in his majestic reign at Indianapolis, which included the forever controversial defeat of Jimmy Clark's Lotus-Ford with his own horror of an anachronistic roadster, Calhoun; not in his sunset attack at Indy with Andy Granatelli's radical, heartbreaking turbine; not during his short adventure in NASCAR when he seized the lead (from last place) in a Riverside Raceway 500 and simultaneously raised one finger at big Bill France, whom he believed was harassing him; not in his tormenting era as Can-Am and Trans-Am bully; not as a business millionaire sovereign of Indy racing's original Super Team of the '70s; and not today, when he's as fascinating as ever. 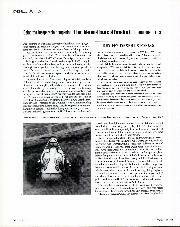 A phenomenally youthful 69, Pamelli rates with Mario Andretti and A J Foyt as the most fulfilled driver who ever raced. And the whole saga started because of his participation in what at the time was misjudged the most lowlife tournament going. 'Jalopy Derby' was the name of a Sunday TV matinee broadcast from ramshackle Gardena Speedway near Parnelli's modest home in southern Los Angeles. As many as 200 junks appeared at Gardena on any given Sunday; only 18 got tickets into the main event Almost unfailingly, Parnelli was in their company. And he had passionate supporters even then. Aware he was intimidating in the mud, on Saturday nights they'd break into Gardena, sabotage the water system and flood the place just for Parnelli's pleasure. This was during the mid-1950s when no race schools existed. "So," Parnelli says, "you looked for the hero you wanted to model yourself after." 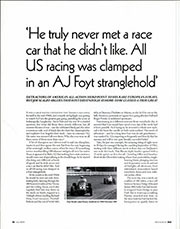 Parnelli had no hesitation: Troy Ruttman. Big Rutt, the great virtuoso wasted in his prime, had apprenticed in hot-rod roadsters; and Parnelli, an impoverished teenager much like Troy, used to peer at him in wonder and fright. Over time, he fully emulated him, driving for the same Indycar owner Rust did, J C Agajanian, the sly Armenian whose facial squints Parnelli still mimics today. Parnelli's pay-off, in 1963, was a second Indy 500 victory for Agajanian. 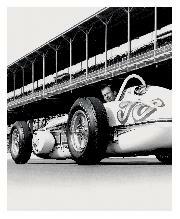 Graduated from Jalopy Derby at last, Parnelli became a rookie on the Midget and Sprint car tours of the Midwest in 1960. In one electric three-day spin, he competed so fiercely in the notorious Little 500 at Anderson, Indiana, that it made him sick afterward; joined the International Motor Contest Association on the high bankings at Winchester; then travelled across Indiana to a US Auto Club melee for Midgets at Kokomo. "Aggression," Parnelli has said, stating his guiding maxim, "is something you can't teach a race driver. You have it or you don't." So, even after becoming an established actor at Indy, he released pent-up aggression by racing in Sprints and Midgets. 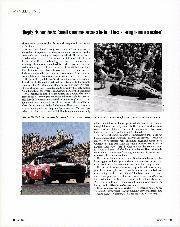 One car owner for a rival driver complained so heatedly that a mechanic for Parnelli lunged at him. "You can't hit me," cried the car owner triumphantly, "I'm wearing glasses." The mechanic pulled off the spectacles, broke them in two and handed them back. 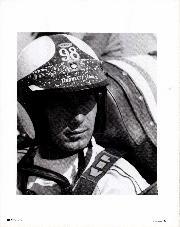 By USAC decree, Parnelli paid for new glasses. And aggression has hurt Parnelli in other ways. In 1967, at Indy, he 'made' Andy Granatelli's turbine, and also destroyed its chances by flooring it on the opening lap, so thoroughly mauling the opposition that USAC voted to castrate the turbine with handicapping restrictions. 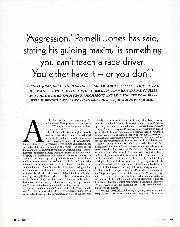 But Parnelli has always had a problem with being patient, a trait for which he offers no apologies. During his 1961-65 love/hate relationship with the Offy roadster, Calhoun, Parnelli had a school of green warmabes lining up to follow him around, induding Hugh Randall and Bruce Jacobi, both of whom would ultimately regret it, paying the costliest price. His only equals were Rodger Ward, Foyt and Jim Hurtubise, who was probably the best racing friend Parnelli ever made. 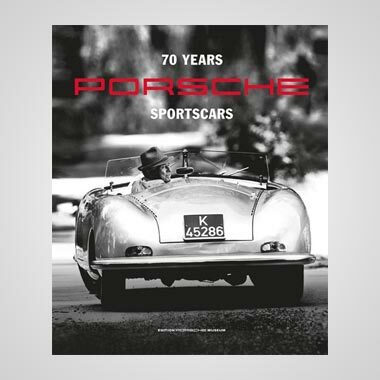 When they founded their friendship in 1959, they were Sprint pals who had established the objective of using their V8 Chevrolets to overthrow the Meyer-Drake Offenhausers. They travelled together in an old Oldmobile, with Hurtubise stuffing their prize money into the roof lining. They flew together in Hurtubise's alarming old seaplane. And finally, during a no-quarter-given period, when their shared aggression and soul had the majority of their rivals cowed, Parnelli and Jim never ever touched wheels themselves, not even during the harrowing opening lap of the 1963 Indy 500. This was when Hurtubise, purportedly to win a bet, passed Pamelli, got repassed, and then, with the enormous firepower of the Novi, came back at Parnelli down the front straightaway. Having earlier got too close to the late and vaunted Jim Packard — Parnelli shared a car with Packard to what was to become Pacicard's last Midget race — Parnelli, who is sentimental, deliberately avoided racing friendships. Being the inseparable companion of Hurtubise must have cost Parnelli a lot in emotional terms. He watched Jim tumble backwards out of Dayton Speedway — and not get hurt; later, certain that Jim was at the centre of the Indianapolis conflagration of 1964, Parnelli originally suffered agony until happily discovering that, no, Jim wasn't in the wreck. Instead, as the record shows, Parnelli himself was burned in this particular Indy 500. And his competition licence wasn't returned in time for him to race the following weekend at Milwaukee, when Hurtubise did experience a big, disfiguring blaze. Parnelli was fortunate. 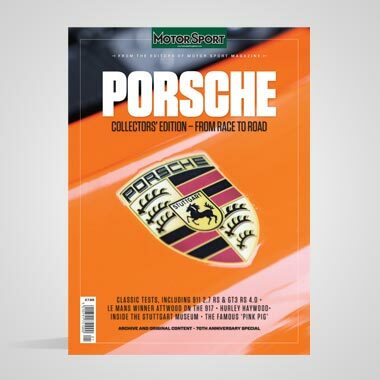 He never had to perform `the Indycar shuffle', the callous nickname for the affliction that identifies modem competitors with wounded feet Aside from those 1964 bums, he escaped unscathed. His career never featured 'a Big One'. 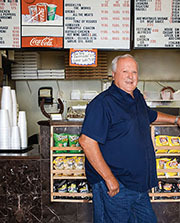 "There used to be so many bad accidents," says Henry Meyers, veteran car owner, "and very few smart race drivers. I wonder who started the smartness." His aggression notwithstanding, probably it was Parnelli. 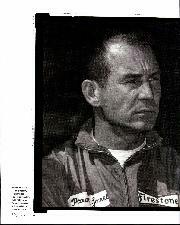 "Hurtubise, Foyt and Parnelli, all were fast," agreed the thoughtful chief mechanic, Danny Oakes, "but Parnelli was probably the smartest of the three." He was smart about knowing how to survive. Later, he was smart with other things, such as hoarding his wonderful '60s secret, the discovery of a new cornering technique around Indy. 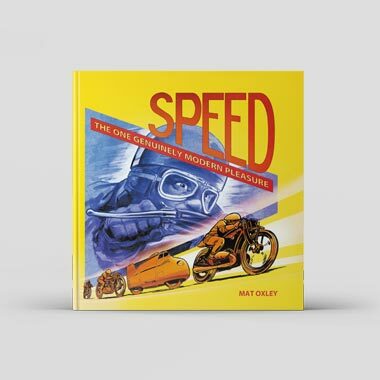 He also authored afresh method approaching what was one of the most difficult turns in road racing, Riverside's daunting Turn Nine. And he unleashed a new way of battling the bottomless Pikes Peak toll road in a stock-car. As for technology, he helped advance the Chevy V8, the ill-fated turbine, the turbocharged Cosworth, as well as the prototypical oversized Indycar team. And he was a shrewd businessman. All of these are accomplishments which seem to mean as much to him as his racing. Despite all his good deeds, Parnelli sometimes senses a feeling of loss, a feeling that he made a mistake. It was, of course, the Indianapolis sacrifice of the Detroiter Mobile Home Special, a lay down Offy roadster constructed with great attention to detail by the godly builder Quin Epperly for car owner William Braund. But while Parnelli and Tony Bettenhausen duelled for the right to drive it, one of the most famous double-crossings in Indianapolis history unfolded. 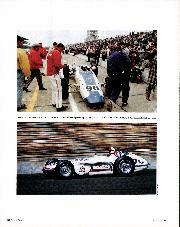 Braund sold the vehicle out from under Parnelli to Lindsey Hopkins, car owner for Bettenhausen. As a result, Parnelli had to race Calhoun, a Watson chassis he never much liked and which played him many dirty tricks. Meanwhile, Parnelli never forgot the Epperly creation. Ten years ago, when the collector and restorer Bill Akin brought the impeccably rebuilt Detroit Mobile Homes Special to Indy, Parnelli stared at it in thoughtful silence for many moments. Then he said his whole career could have been different meaning better, with more than his six Indycar wins had he gotten to race the Epperly. An Indycar champion's choice for immortality is limited. He can be remembered like Vukovich martyred in his prime. Or he can race so long he gets forgotten like Jimmy Bryan and perhaps Foyt. Quitting on top, as Sam Hanks did when he won the 500 in 1957 is hardest Hanks was 44. Parnelli, when he stopped in 1967, was barely 34. And he departed after his dominant turbine had burst 23 records, come within seven miles of winning, and reduced Parnelli to what some considered a tortured hero. He now says he was never tortured. But those endless years of his hyper-aggressive Indy, Sprint and stock-car starts had burned him down like a candle. He was, at the time, more than ready to leave. He couldn't, however, stay away completely. So he took up supposedly easier racing forms the Can-Am, the TransAm, and off-road desert racing. He altered all of them. All Indycar champions have a touch of arrogance, and are almost expected to. As a result, Parnelli's long shadow toughened the road racing of the likes of Mark Donohue, Peter Revson and George Follmer. And he did the same thing in the bumpy world of Baja (see sidebar, page 92). Parnelli chooses his words carefully. As he recently noted, he has yet to use the term 'retired', leaving him now, as ever, the freedom to compete in any sort of racing he wishes. He really is fascinating.